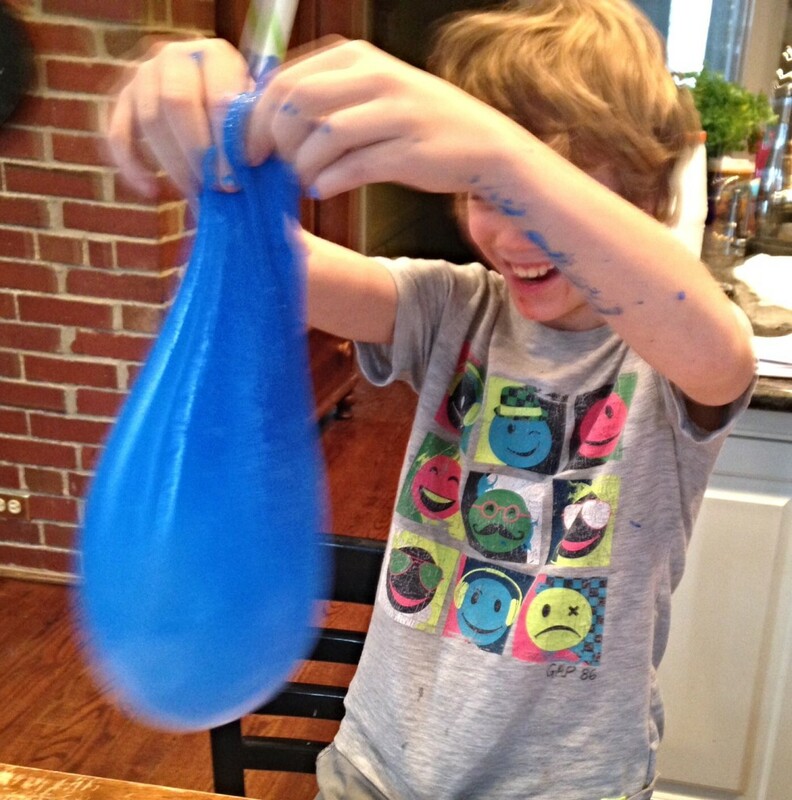 I had a few elementary boys home early from school today, and after I took them out to lunch, I told them we were going to make some good old fashioned flubber. You know, like we used to do when you were in preschool? 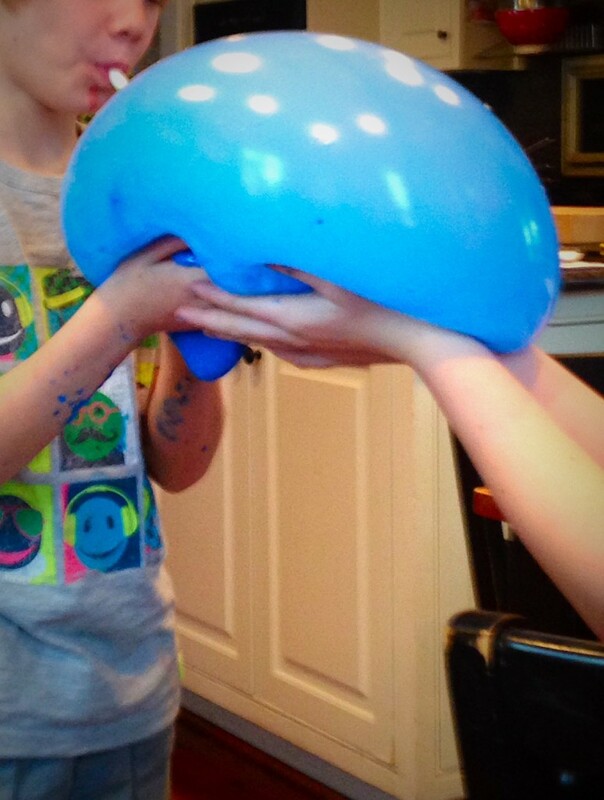 As we set out to make the slime, the boys were so impatient — and I was trying hard to follow Stephanie’s advice to “make it slow” so I wouldn’t end up with some kind of blubbery mess. It was hard work, sort of, to keep adding the starch, stirring, kneading, and trying to decide if we had the perfect consistency to make the bubbles. And I found myself saying — you have to work at this — it’s not just a simple video game where you just click, and something happens. Here are my caveats if you want to try making these bubbles. Follow Stephanie’s recipe here. 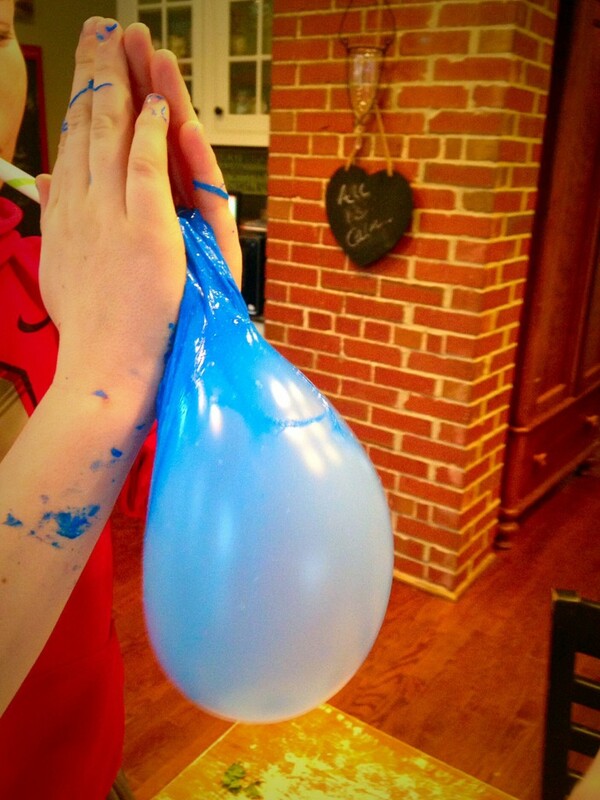 Rest assured, no matter how big of a mess you have on your hands, (literally) while mixing the slime, the slime will eventually reach a point where it easily pulls off over every surface — you just need to keep kneading the give it time. Hold back for awhile before you start kneading with you hands. 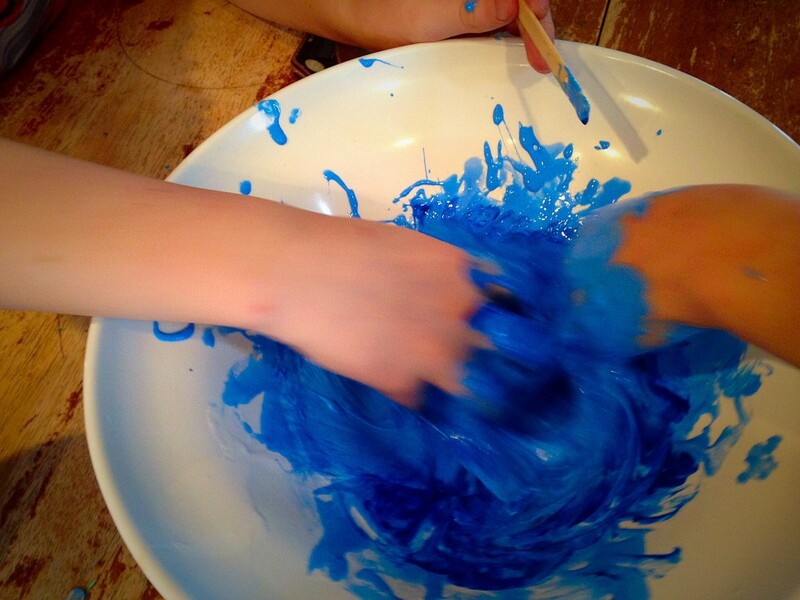 Keep using a spoon as long as possible so that by the time you get your hands in that slime, it’s at the easily pulled off stage. I did not have clear glue, like Stephanie recommends. I am still under the auspices of “tidying” and couldn’t see buying something new when I already had white glue. I needed more than the recommended amount of starch. I had to keep adding drops of starch beyond the 3/4 cup to get the slime to “break.” This may have been because I used white glue? 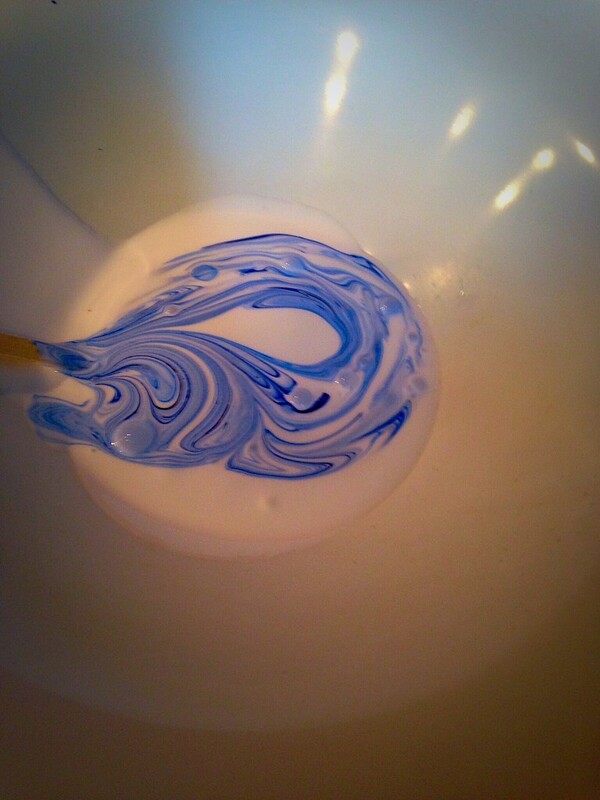 Instead of food coloring, I used washable tempera paint. It was perfect. No color was left on hands. 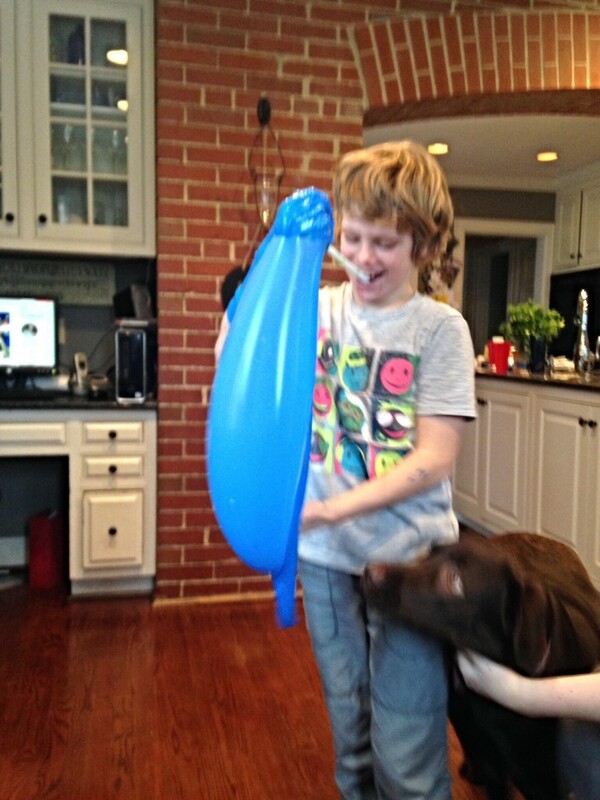 The boys are still playing with the slime, making faces out of the re-usable bubbles. The video games are silent, and the fingers are busy sliding, pushing and molding, instead of clicking a game controller. I think the most valuable things we can say to kids nowadays is to point out the difference between the instant gratification of the screen and the joy of real life. God bless you Susie….